WHITE LIGHNING Epic Ride, 40 oz. 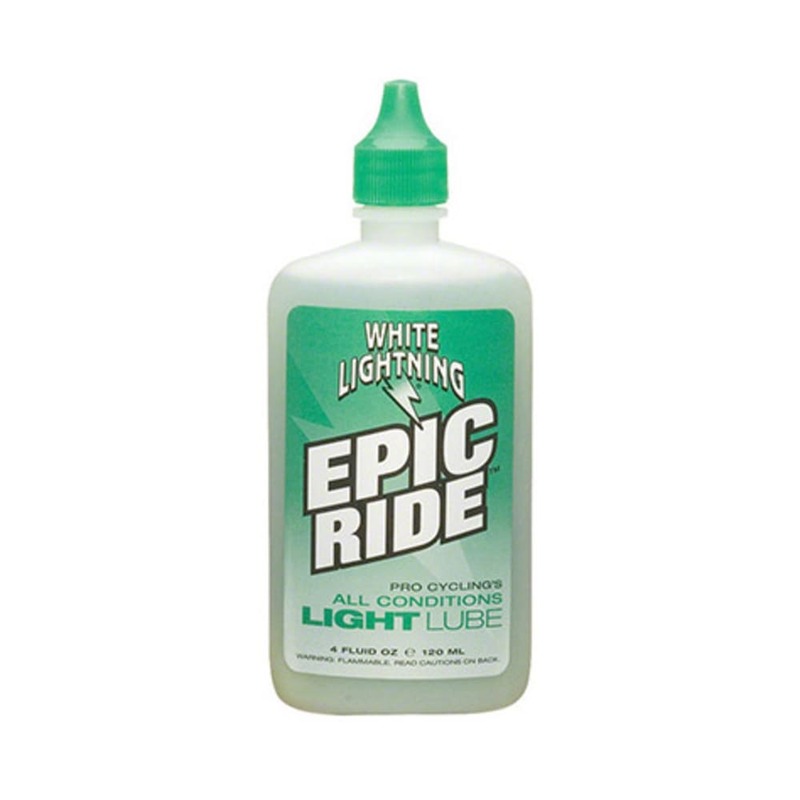 WHITE LIGHTNING Epic Ride, 4 oz. Great for on- and off-road cyclists, able to handle all conditions, and requiring no dry time, Finish Line White Lightning Epic Ride is the perfect lube-and-go product.